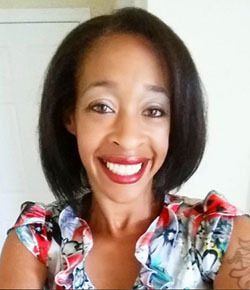 This is a sponsored post written by me on behalf of Fresh From Florida for IZEA. All opinions are 100% mine. When I head to the grocery store or farmer’s market, I make sure the first thing I buy is produce. It’s a guarantee that corn is at the top of the list. It’s one of the few vegetables that everyone in my family loves and will not complain about eating. Isn’t that a mom’s dream? Another plus is that they eat it no matter how I serve it. It can be boiled, grilled, or even roasted. That’s why I knew they would love my Zesty Oven-Roasted Corn on the Cob. Feeding corn to my family is a no-brainer. It is packed with fiber, which of course helps with pushing foods through the system. It also is full of vitamins A, B, and E and has plenty of antioxidants. That’s probably why it is a staple in many countries across the world. 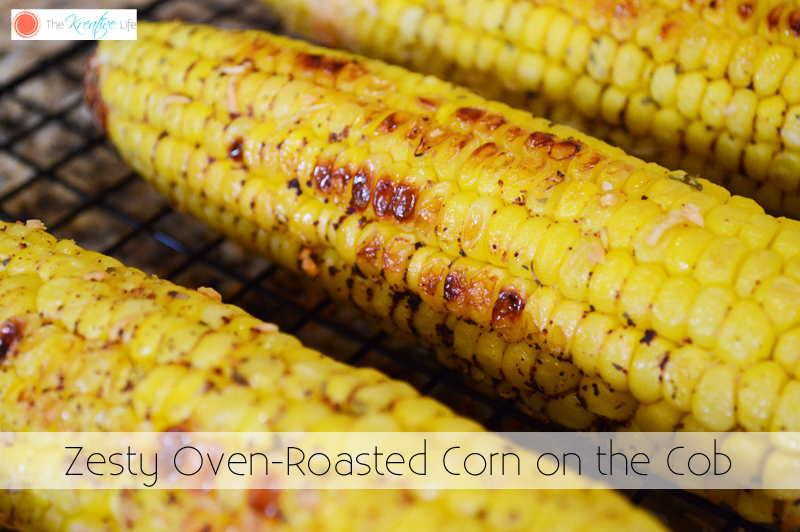 This recipe adds a little zest to the classic oven roasted corn and I was shocked that my babies loved it because they hate deviating from flavors they are accustomed to. You’ll love it, too! Enjoy! Preheat oven to 400°. 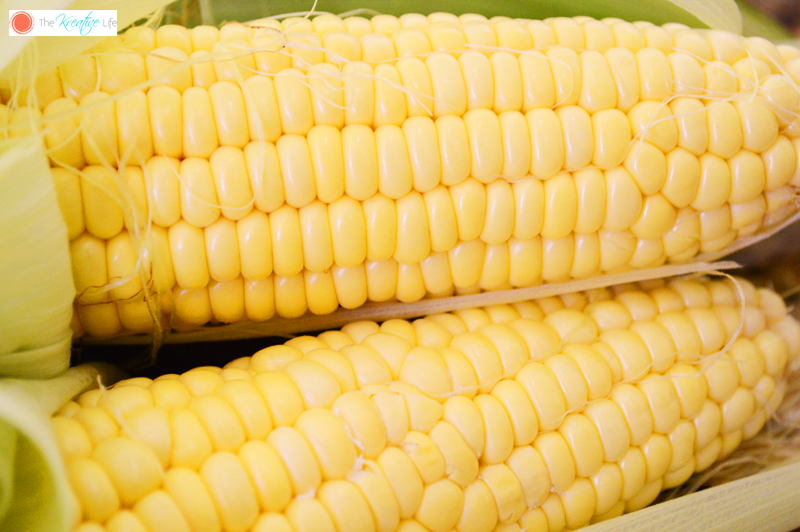 Rub each ear of corn with ¼ tbsp. butter. Sprinkle garlic powder, chili powder, and parsley evenly onto ears of corn. Place corn onto cookie sheet line with foil. Bake in oven for 25 minutes. Turn corn and sprinkle ¼ tbsp. of parmesan on each ear of corn. Continue to bake for 10 more minutes or until corn is slightly caramelized brown. Eat warm. If you want to use Fresh From Florida produce in your recipes, make sure you look for the Fresh From Florida logo. You can visit the Fresh From Florida website for tasty recipes or even follow Fresh from Florida on Facebook and Fresh from Florida on Twitter to receive weekly recipes that include Florida produce. Does your family have any go-to corn recipes? Those corns look delicious!! And this recipe is so easy, I have to try it. 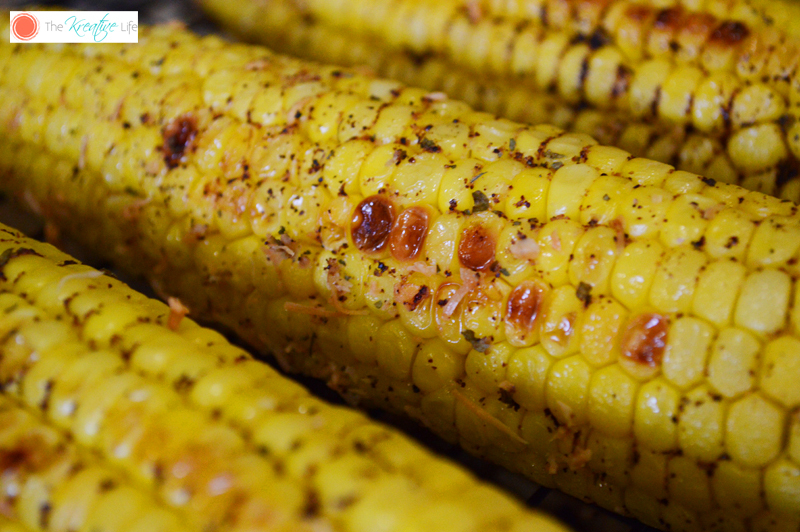 Corn is one of our favorites as well, it seems to be a hit no matter how you prepare it! This looks like a really good recipe and it’s something that my family will like! The shredded parmesan will definitely bring the flavor out! Love corn, In India we get these with a sprinkling of hot spices and lime juice, to give it a tangy taste. Oh, I never thought that you can use an oven toaster to roast corn on the cob. I will try this recipe! Oh, these are so nice for our BBQ party this weekend! I would like to throw some corn on the cob on our oven. 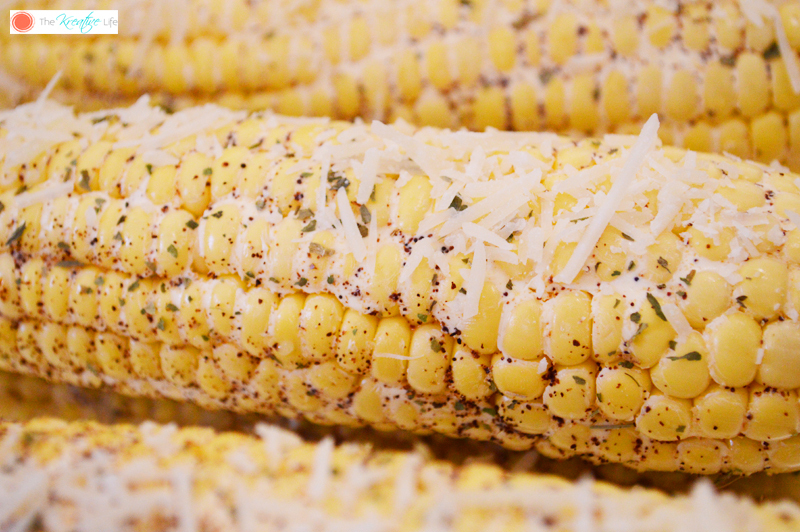 Corn is always awesome, and there’s so many ways to prepare it. This is such a lovely recipe, perfect for the summer as well. I like that you chose to roast it in the oven, the spices always seem more flavorful when you do that. This corn looks really tasty! Love it. Would love to have a bite of it too, soon! This looks so good. During the summer we always have corn in the house! Grilling outdoors is not a luxury for me. So putting these in the oven is awesome! This looks like the perfect side to our cookout this weekend. Gonna be giving it a try. Oh this extra flavor would be perfect. I’d love to make our corn like this next time! I love corn on the cob. This recipe looks amazing. I am making some this weekend! Well I love corn on the cob so I will be sure to enjoy this recipe. It would be great at a bbq. Corn on the cob is my favorite. This looks so good! Yummy! Something i would want to eat now. Too bad i was in the market yesterday and saw corn. I didnt buy one. I would have tried this if only i bought corn. mmmmm! yes i love corn everything. fried corn, grilled corn, boiled corn. pop corn lol. I love corn on the cob – had some last night but i made it in the microwave. I love, love this idea. 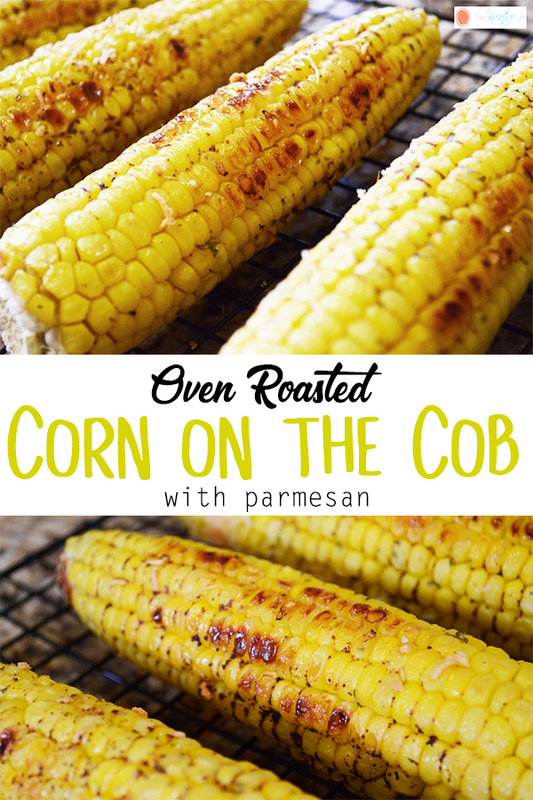 Oven Roasted Corn on the cob?? Never tried this one but I am so excited to try it out! 🙂 Thanks for sharing! You’re very welcome, Jessica! Oven roasted is good when I can’t get outside and put it on the grill.